Robert Harris wanted to make the majors. His wife wanted him to make it, too. To get there, though, both had to make sacrifices. For Harris' wife Carrie Harris, the sacrifices included delays her plans, and serving as both parents when her husband was on the road, she told The Sarasota Herald-Tribune. "If you're wanting them to make it in baseball, you have to wait for your dream to be fulfilled," Carrie Harris told The Herald-Tribune in June 1991. For the Harris family, the dream that wasn't fulfilled was Robert Harris making the majors. He played just one more season, his seventh overall. He never made AAA. Harris' career began in 1986, taken by the Pirates in the third round of the draft, out of Sacramento City College. Harris played his first season with the Pirates between the rookie Gulf Coast League and short-season Watertown. He hit .230 between them. He also stole 26 bases. Harris returned to Watertown for 1987. He hit .272 there in 49 games. He also stole 30 bases. That August, Harris drew praise from the Pirates director of player development, Buzzy Keller. Harris, Keller told The Post-Gazette, "is a threat to steal second, third and home every time he gets on." Harris moved to single-A Augusta for 1988. He hit .271, getting another 30 stolen bases. He went 2 for 4 in a July game. His 1989 season was abbreviated to 65 games, Harris hitting .257. He lost six weeks after getting struck by a pitch and breaking his jaw that May. Harris made AA Harrisburg for 1990. He hit .226. it wa his final season with the Pirates. 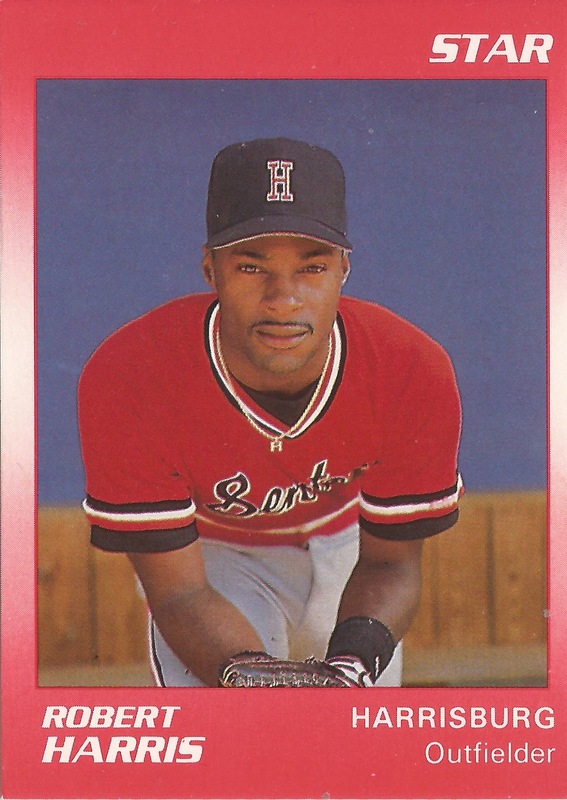 Signing with the White Sox for 1991, Harris played at high-A Sarasota that year and AA Birmingham the next, ending his career.